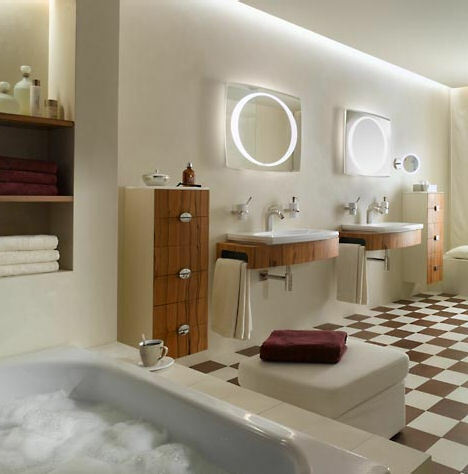 A bathroom is often a room that we do not think about furnishing. However, the room obviously serves a purpose and there is no reason why we should not get it looking really good. There are also storage requirements in a bathroom and so whether you are planning a brand new bathroom or just improving an existing one, you need to consider this. There is a lot of bathroom furniture on the market and you may be surprised at the range. It is important to think hard before buying as to what your requirements are. Think about whether you want this bathroom to last really well and be something that you want to keep for a very long time or whether you like changing with the fashions and so want something that is fashionable but cheaper so that you can spend money on it again in the future. You also need to consider the quality, if you want something to last then you want to buy quality furniture. You need to think about comfort when buying bathroom furniture. You need to make sure that the loo is comfortable to sit on, the bath is wide enough and long enough, that the shower has enough room inside it and that the basin is the right height. You need to also consider whether you will have enough storage and whether everything is spaced so that there is enough room. You will need a radiator or a way of heating the room and somewhere to hang towels. Many people consider that bathroom suites is always the way to go, but you can actually match up separates and you might get something that better suits your needs, although it might be more expensive to do it this way. You also need to consider the tiles in the room. You will need them in the shower, along the bath and above the sink. You might prefer to tile the whole room. This will be expensive but could be a lot easier when you decorate. It could also help to keep things looking a lot better. You may want to put in a mirror somewhere as well, perhaps above the sink, for shaving and taking off make up. You may want it to be a cabinet so that you have storage as well. Having a wall cupboard, shaving cupboard or under sink cupboard are very useful. It can look a lot better if you are able to put all of your items away in a cupboard and so they are not on view. It makes things look a lot tidier and so you need to make sure there is space to put them away. You also need to consider having a place to stand bottles in the shower as it can look very messy and be inconvenient, if you have to leave them on the floor. So sit down and think about your needs. Think about your budget and how long you want things to last. If you want excellent quality, then you may have to pay more and this may mean that you need to wait a while before you can afford it. Spend a long time thinking and looking at all of your options because it is an expensive thing to do and so you need to make sure that you have made the right decision and that you get the best possible value for money.